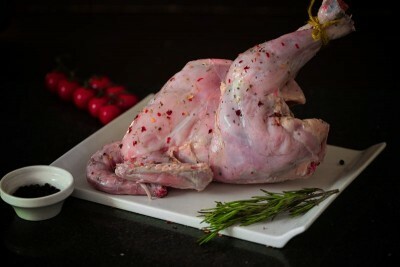 Naturally reared, colored bird belonging to the French breed Sasso with a very sought after taste. This is NOT a country chicken breed but a slow growth chicken, that takes the normal cycles to grow similar to the home grown chicken. Sasso is so tasty that it's farmer swears that his 80 yr old grandfather who stopped eating chicken restarted chicken after tasting the amazing Sassoo! Please note - It may contain neck and liver pieces. Slow growth and naturally rarred Sasso Chicken.